OLSEN GRUIN is pleased to present “Ornithurae” a new selection of work by the Australian artist, photographer and environmentalist Leila Jeffreys. Jeffreys has photographed native birds in her home country and the US (she was personally invited to shoot at Ojai Raptor Center, a sanctuary for wounded birds in California). Her unique work has featured everything from budgies to eagles; wrens to pigeons; cockatoos to hawks. After noticing how unengaged people seemed to be with birds, she began working on a series of portrait sessions, hoping to portray birds in a way that displayed their incredible beauty and diversity, and to inspire a deeper concern for their well-being. Her first solo exhibition focused on budgies, the ubiquitous family pet. 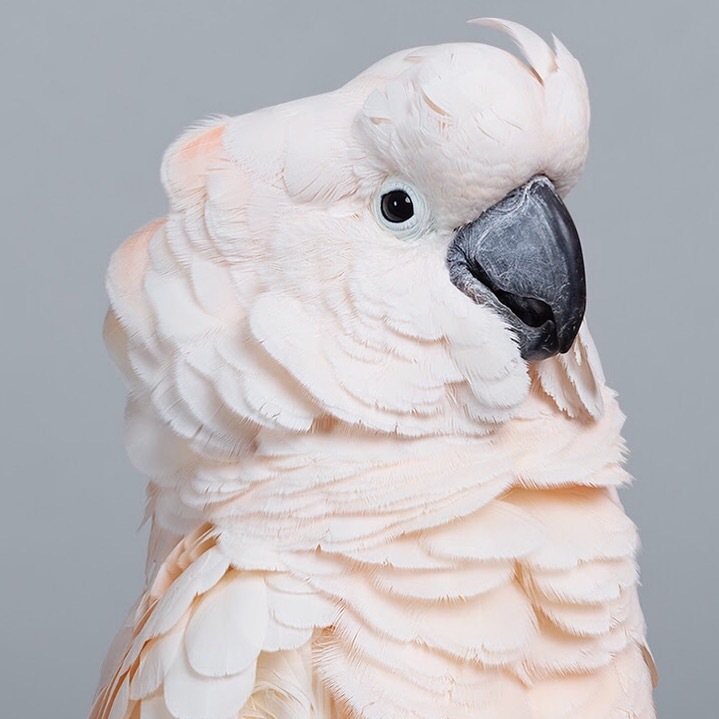 Then, for her next series, she worked alongside wildlife carers to create a series of portraits of wild cockatoos. This was followed by ‘Prey’, which focused on Australia’s hunting birds, and has since worked on numerous shows exhibited around the world. She has also published an illustrated hard cover book in the US, Canada and UK entitled ‘Bird Love’ through Abrams. During World War II 200 Americans were saved by a note-carrying pigeon that survived Japanese bombardment in New Guinea. Homing pigeons have a very long history of service, reportedly carrying messages for the Moghuls, Crusaders, Romans, Saracens, Egyptian pharaohs and ancient Persians. The Reuters media service started out as pigeons carrying stock market prices to and from Brussels. Santa Catalina Island had a pigeon service taking mail to Los Angeles in the 1890s, and Orissa, India, had a police pigeon service that lasted until 2004. All of this was possible because pigeons, when taken somewhere new, even inside a dark box, can reliably find their way home. Psychologists take pigeons seriously for their own reasons, respecting them as birds that excel at visual categorisation. Domestic pigeons in experiments have distinguished letters of the alphabet, different emotions on human faces, paintings by Picasso and Monet, and even breast cancer tumours on scans. We ought not take pigeons for granted. To pigeonhole them as urban scroungers does them an injustice. Australian bird photographer Leila Jeffreys has taken it on herself to show them as they truly are, as beings with the power to surprise. They are pigeons as we are not used to seeing them, as if our conventional friends, to surprise us, have decked themselves up in party gear. Pigeons were domesticated thousands of years ago, long before chickens or ducks, which makes them the bird on earth to which we have the longest close relationship. Pigeons matter. 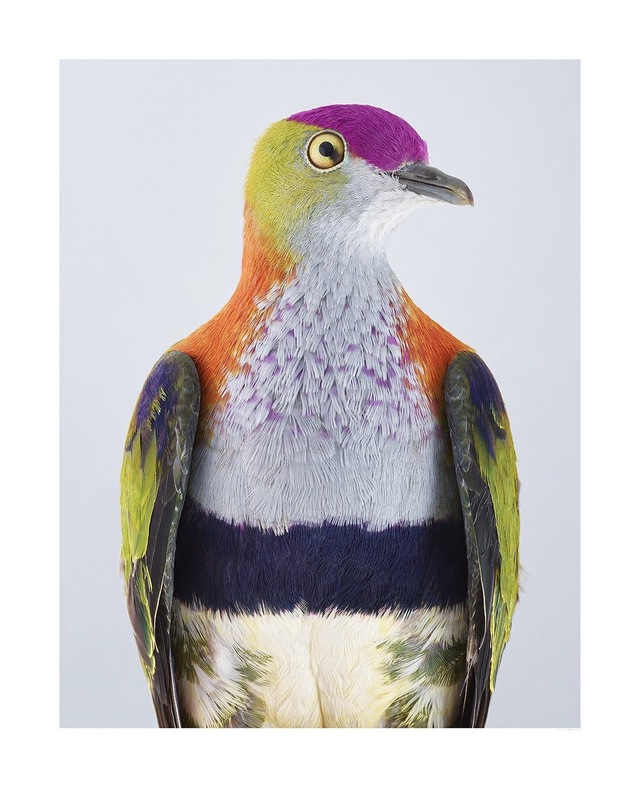 While most street pigeons are as drab as businessmen in suits, the birds of Australasia come dressed as if for a mardi gras, in purples, yellows and other fearless colors. The vivid rainforest fruits they eat have given them an appreciation for colors on each other. 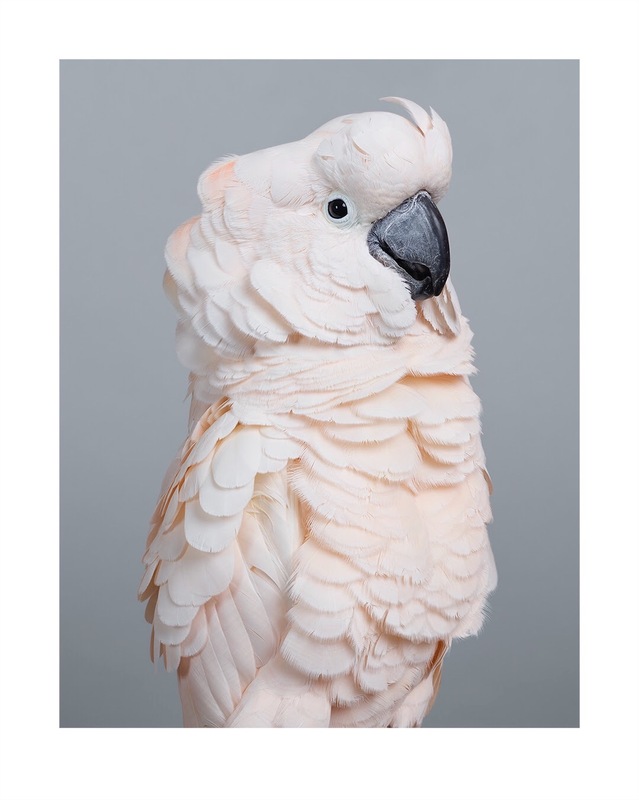 Leila will also be exhibiting new works featuring Cockatoos and hundreds of budgerigars in trees to bring ‘Ornithurae’ to life. We would be delighted if you joined us for Leila Jeffrey’s inaugural show at 30 Orchard Street, Friday October 13th, 5-8pm. This entry was posted in Design and tagged 30 orchard street, 360, 360 Magazine, art, bird love, birds, Brooke shields, California, Canada, cockatoo, Cyril Moluccan cockatoo, Diana Macaraeg, exhibition, gallery, Leila Jeffreys, new york city, ojai raptor center, Olsen Gruin, ornithurae volume 1, pigeons, ubiquitous, us, Vaughn Lowery, ww2 on October 10, 2017 by Pitch360.